First Friday, August 5th 6 – 9 p.m.
Denver area photographer/painter Sally Stockhold will display her work at The Pattern Shop Studio in the RiNo Art District beginning on Friday, June 3rd, 2011, and continuing through July. Stockhold is known for her outrageously funny and strikingly beautiful portraits of herself as famous women of fiction and history, among which have been Gertrude Stein, Louise Nevelson, Virginia Woolf and Madame Butterfly. “I make portraits of these women not only to discover more about them,” she says, “but also to learn more about myself as a woman and an artist.” Each portrait begins with extensive research into her subjects. “My goal is to maintain historical accuracy,” she notes, “though my work often expresses elements of imagined realism.” Some of Stockhold’s work is also scathingly political, such as the series called “Homeland Security,” which pictures her wrapped in plastic and securing herself and her home from a terrorist attack. 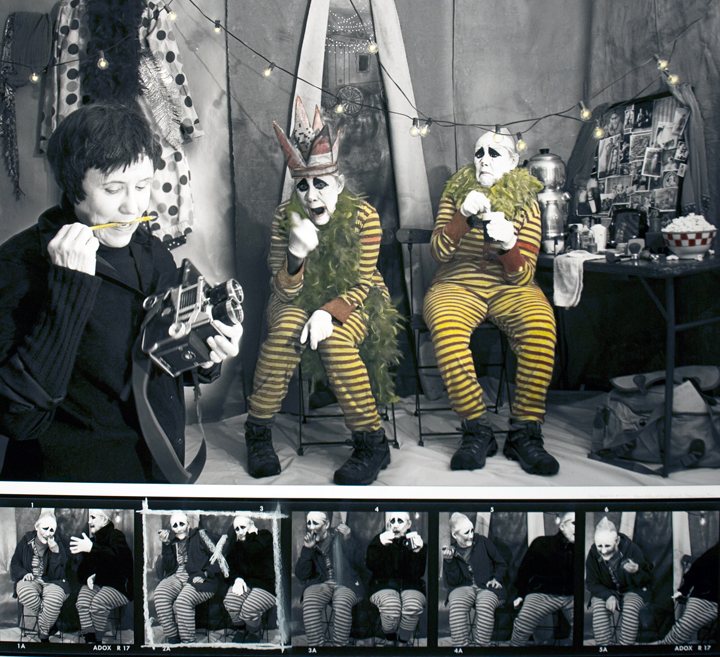 A graduate of the Cooper Union School of Art and Architecture, Stockhold had a career in photography and film in New York City before coming to the Denver area in 1994. Since her arrival, she has been affiliated with Ice Cube Gallery, Spark Gallery, Edge Gallery, Working With Artists, and the Colorado Photographic Arts Center.